Last week I met a colleague who leads a community college program on auto maintenance and repair. This arena of study and practice has always seemed fairly straightforward to me: learn the mechanics of engines and other things that make cars work, and learn how to fix them. I confess it was surprising to me when he shared that the most important skills his students need to learn are critical judgment, reflection and decision-making. That’s partly because car design has changed so dramatically over the last two decades that cars have become complex electronic as well as mechanical systems. 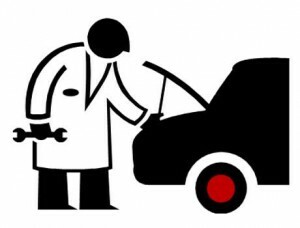 Just like in health care, for a good mechanic the foremost decision is whether to provide treatment. Who knew that our most important teaching goals and teaching challenges – his in auto repair and mine in counselling and health behaviour change – were so aligned? This reminded me of another conversation I had with a surgeon a couple of years ago. We were talking about laparoscopic surgery, and I wondered whether today’s medical students had a learning advantage due to their years of experience playing videogames. The doctor stated that it doesn’t take long to teach anyone to how to perform laparoscopies (although video game players might learn a little faster). He said that what takes years to teach and learn is when not to do the surgery. 3. Decision-making: This includes decisions regarding a specific course of action, as well as decisions about what additional information might be needed; acting with integrity and ethics.